Sometimes when feeding children we just simply run out of ideas! 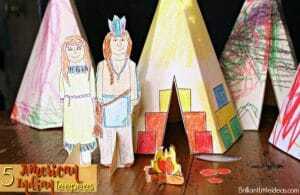 That happened to me a few years ago in my daycare. Some kids like this and some like that, it was hard to please everyone. So I stopped! No more pleasing everyone! You know what though, it turned out great! All of my daycare kids love what I fix them. Here are a few of their favorite 15 Quick & Easy Kid Friendly Meal Ideas! Do you have ‘Those kids’ you know the ones that won’t eat anything? They cry, gag, have an attitude. Oh my goodness, I have dealt with so much of this over the last 12 years. These meals, however, have been fight free. 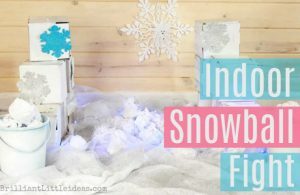 Which is great esp for Me, a daycare owner and mother of 2 super strong willed boys. 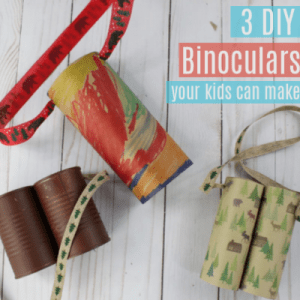 Here are the quick and easy tried and true ideas for you to try with your kids. Here we go! 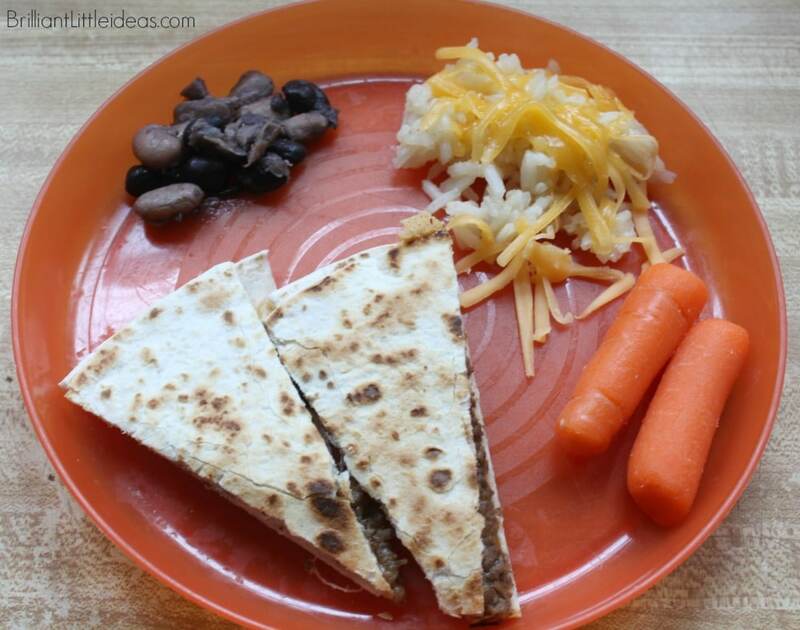 Easy Peasy Beef Quesadillas (click here for recipe). Served with Cheesy Mexican Rice, Black beans, and carrots. This is a hit with the kids because its a special self-made quesadilla. So they get hands on kitchen training and I get a little help from each of them to make their lunch extra fun. Homemade Pizza (click here for dough recipe). Served with sugar snap peas, and carrots. 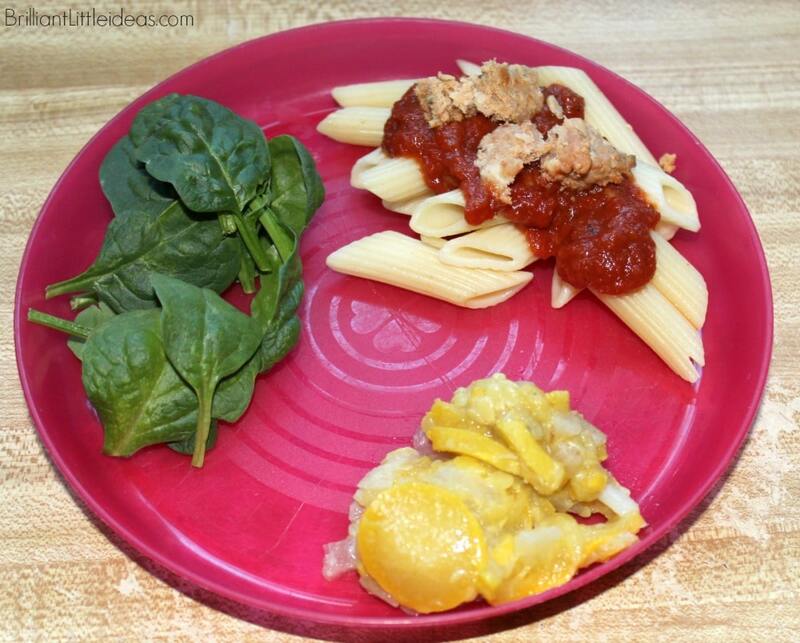 This is another hands on kid friendly recipe that is a HUGE hit! 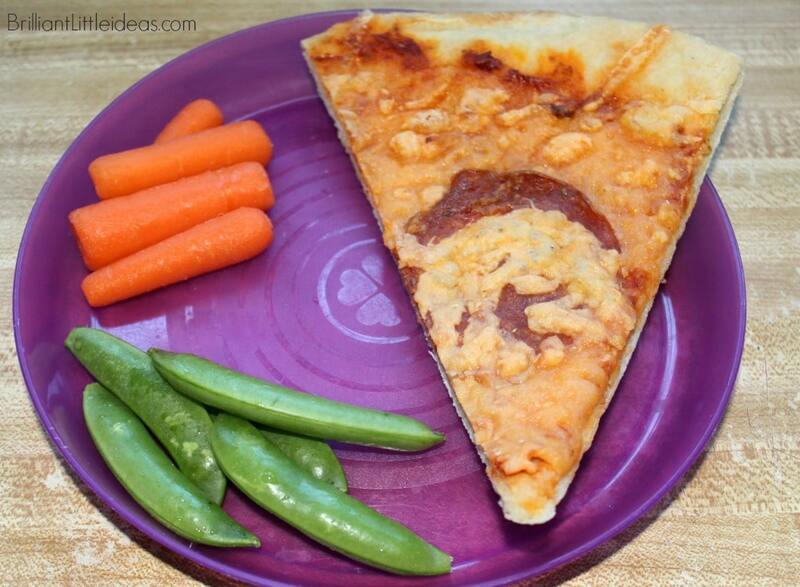 We have pizza on Friday and all of my kids hate to miss this yummy lunch. 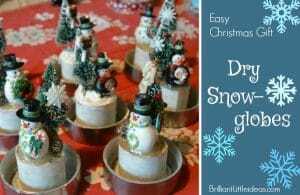 I’m sure it will be a hit at your house too! Be sure to check out this Spider Web Pizza for Halloween. 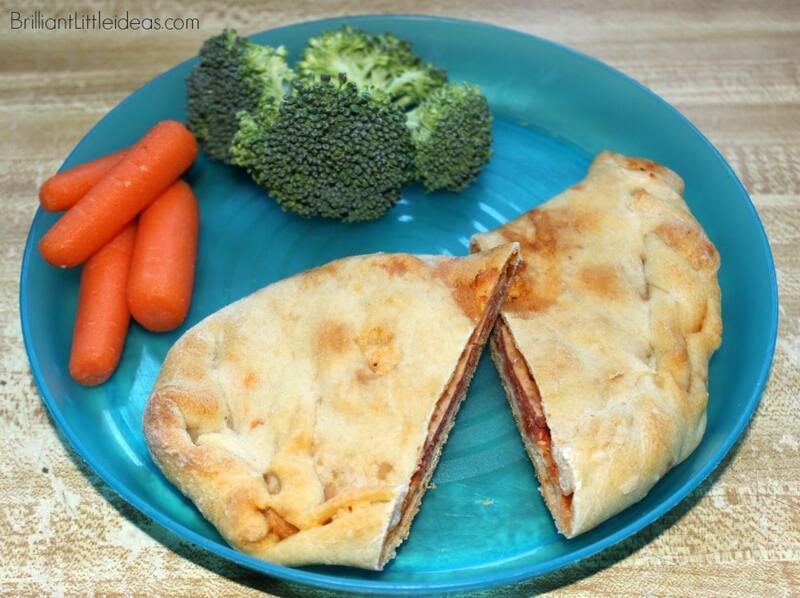 Freezer Friendly Calzones (click here for recipe). 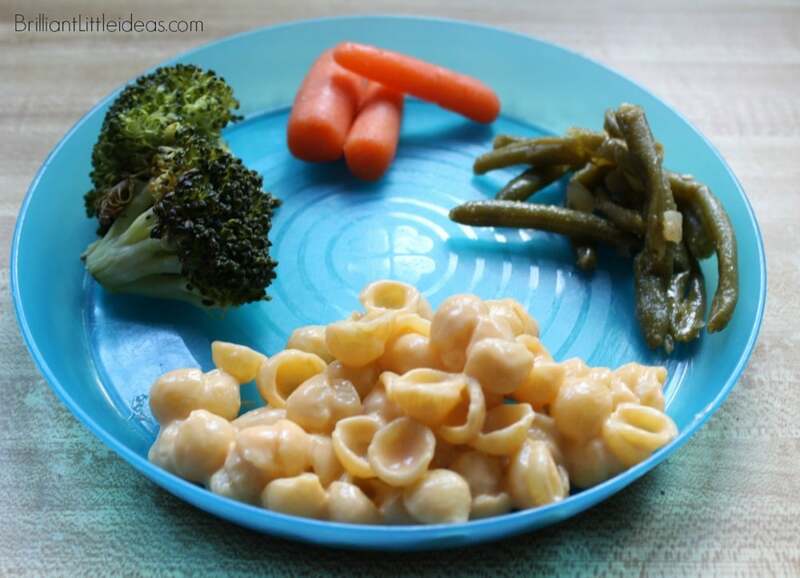 Served with the kids favorite vegetable carrots and second fav broccoli. Since we’re on a make your own kick check out this Calzone recipe which is freezer friendly and made with the same dough as the pizza above. Turkey Meatballs over Penne with Marinara. Served with fresh spinach and summer squash. Kids love spaghetti so why not change it up and let them get used to the idea of new noodle shapes. Bare with me here, they will crinkle their nose. However, if you show them they can also be whistles.. the noodle all the sudden becomes cool! Chicken Nuggets. Served with mashed potatoes, mixed veggies, and apple slices. 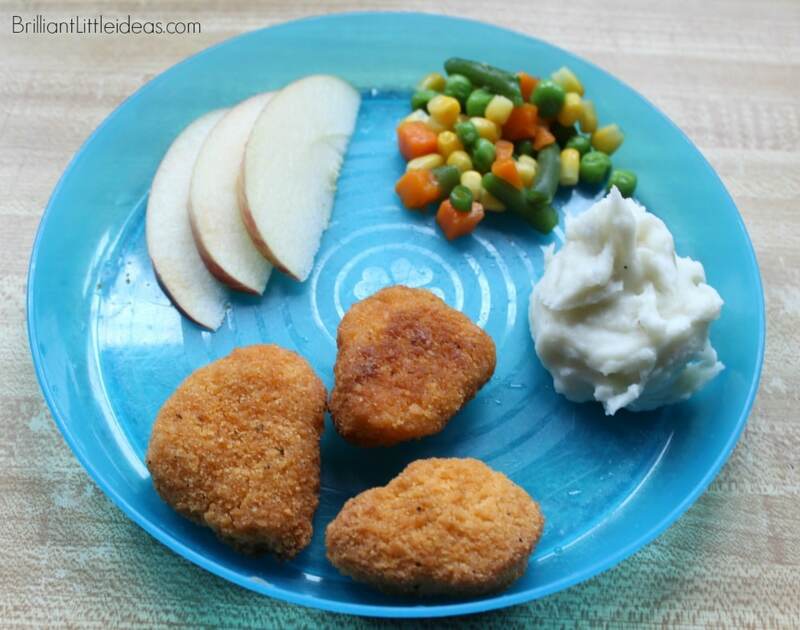 This is the go to meal for when the kids are harassing me about how much they miss chicken nuggets. I buy Forest’s chicken nuggets because they seem to be better than Tyson and the best that we can get around here. PB&J’s. 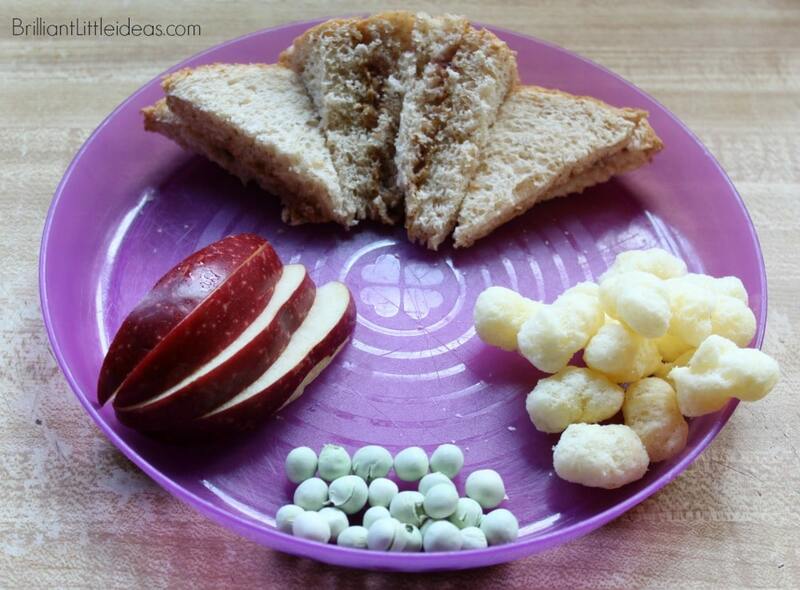 Served with Luke’s Cheddar Clouds, dried peas, and apple slices. The kids all love this day of the week because of the cheese puffs. They adore these yummy things and they go great with peanut butter and jelly sandwiches. Maccaroni & Cheese. Served with roasted broccoli, carrots, and green beans. This is more of a veggie packed day for them with sliced ham sometimes on top of the mac & cheese. 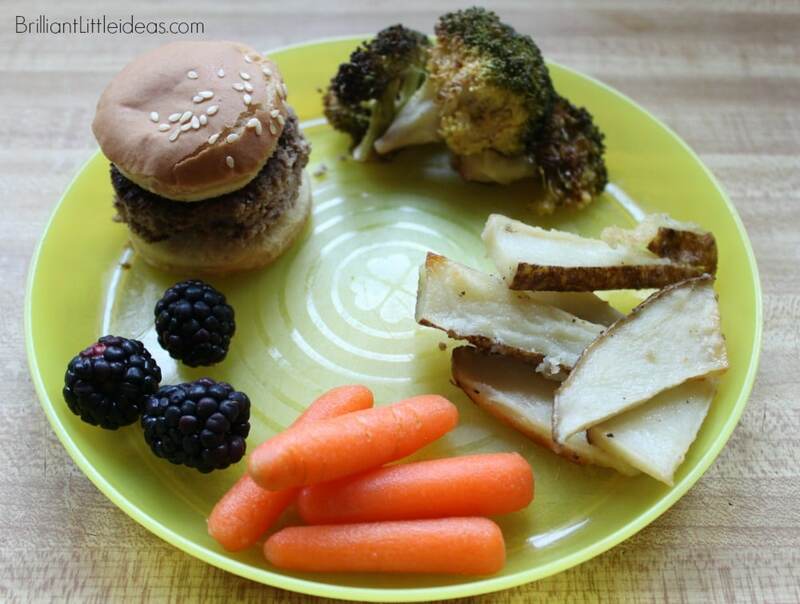 Tiny Hamburgers & French Fries. 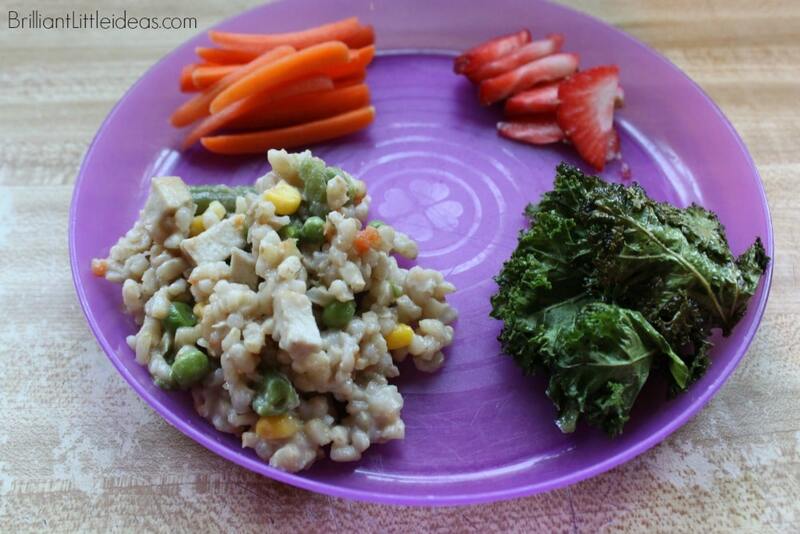 Served with broccoli, carrots, and blackberries. To make these tiny burgers I simply cut the burger and bun with a small round cookie cutter. 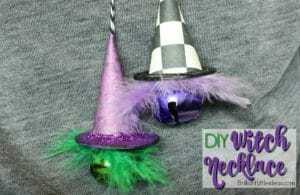 Super fun for the kids to eat! Broccoli Chicken Pasta. Served with sliced carrots and strawberries. 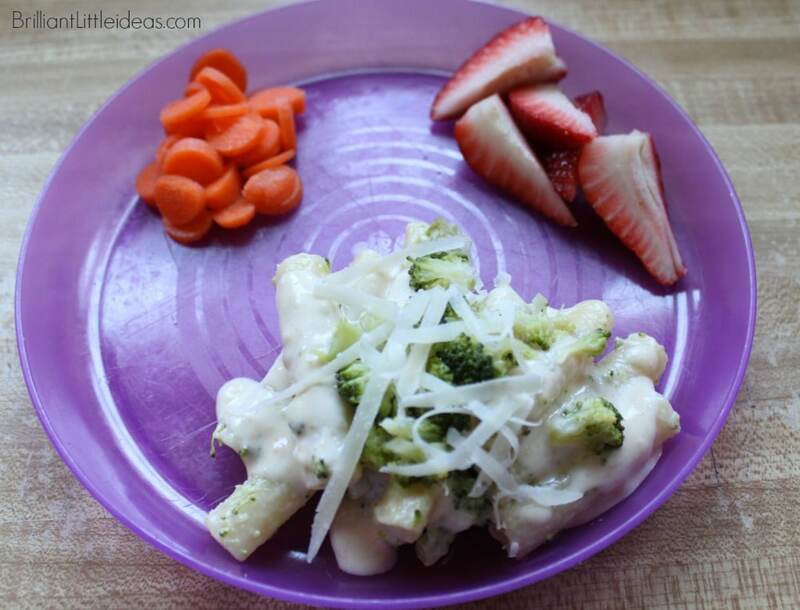 This pasta is cheesy and will go fast among your kids. Grilled Chicken. 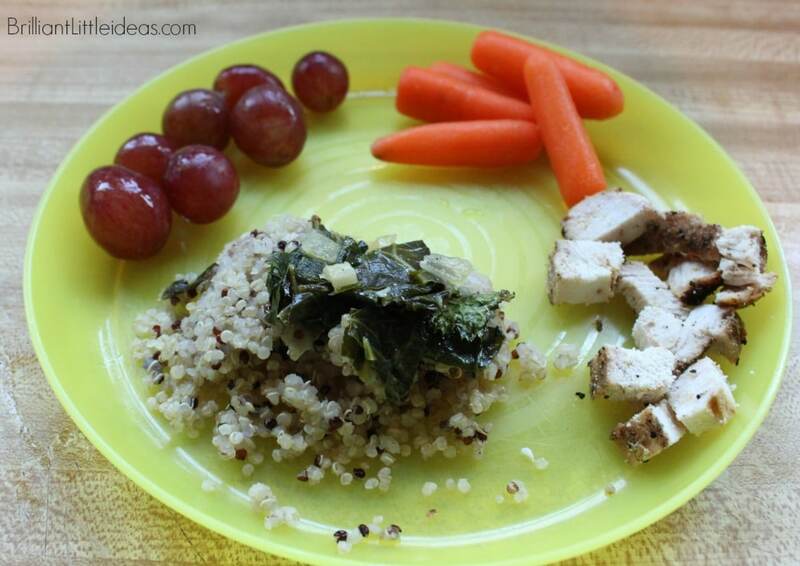 Served with sauteed collard greens over quinoa, carrots, and grapes. If you’re asking if my kids really eat this. The answer is yes! Ill post later about how I get kids to eat semi healthy. 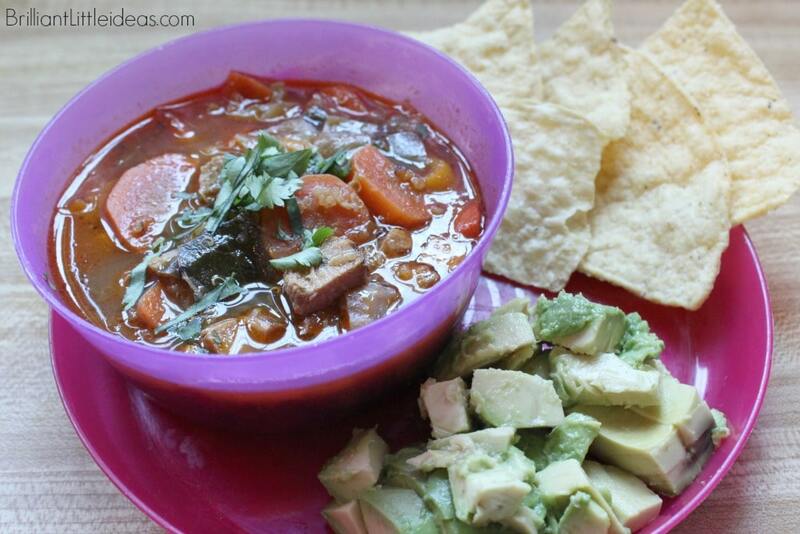 Veggie Packed Tortilla Soup (click here for recipe). Served with avocado, and chips. Chicken Fried Rice. Served with roasted kale, carrot sticks, and strawberries. 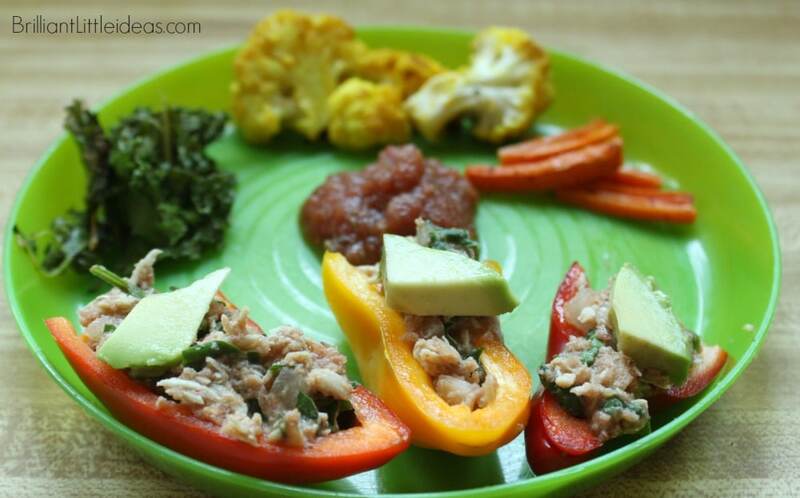 Stuffed Sweet Peppers. Served with kale, turmeric cauliflower, and roasted carrots. Slice peppers in half pull out seeds and set aside. Next cook chicken and shred, then mix with salsa, cheese, cilantro, and season with salt and pepper. Top with avocado and serve. 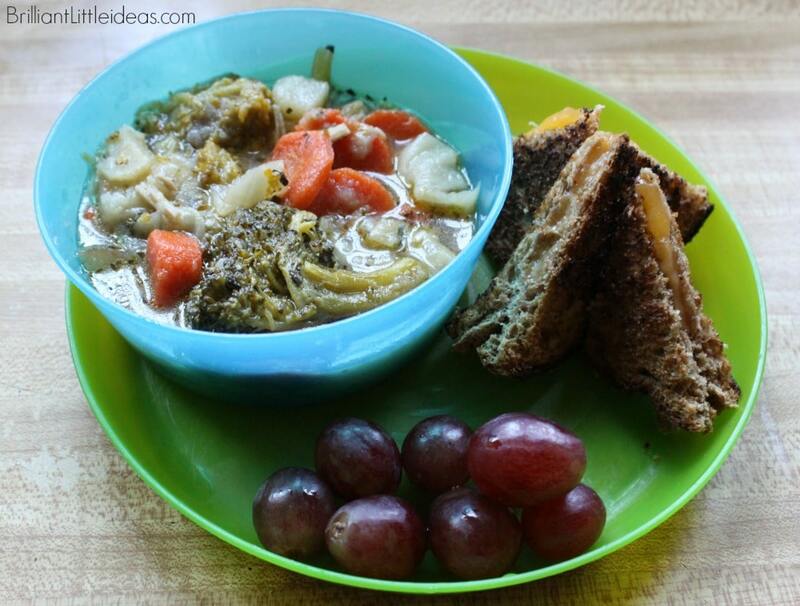 Loaded Veggie soup with Grilled Cheese Dunkers. Served with grapes. You can also try tomato soup to dip your grilled cheeses in. Tiny Beef Tacos. Served with broccoli, radishes, and black beans. 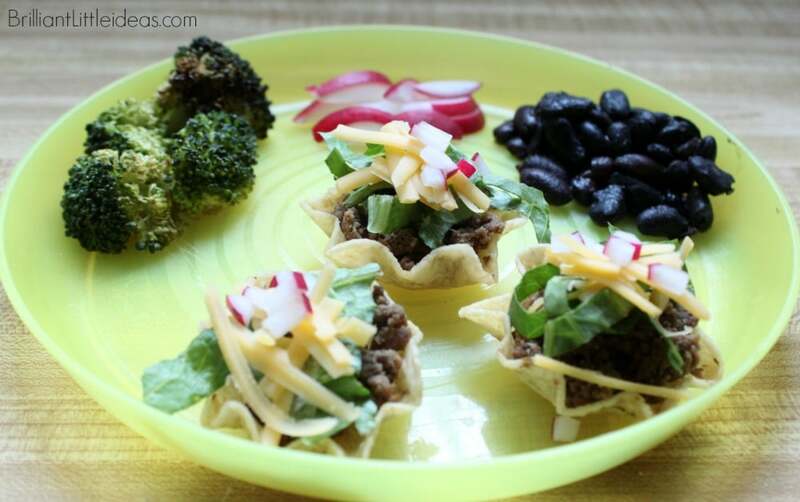 Use scoop chips to make these teeny tiny tacos. 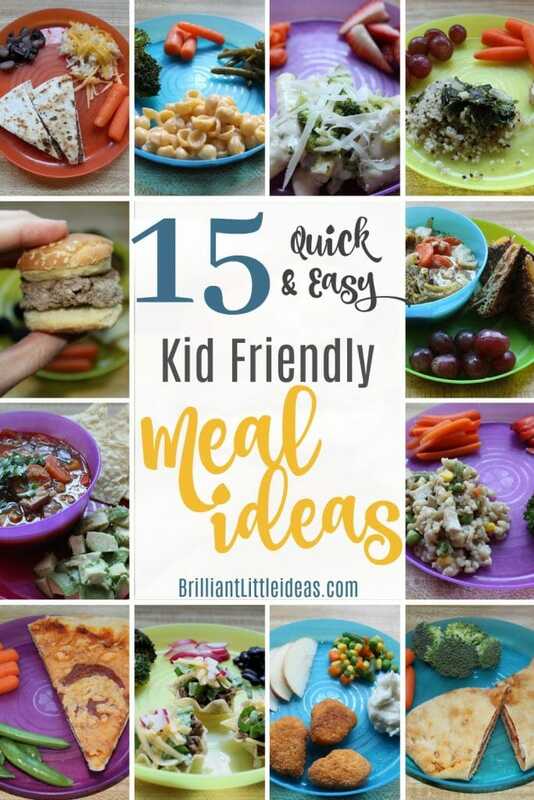 Did your kids like any of these ideas?